purchased at Peaceable Kingdom in downtown Ann Arbor. 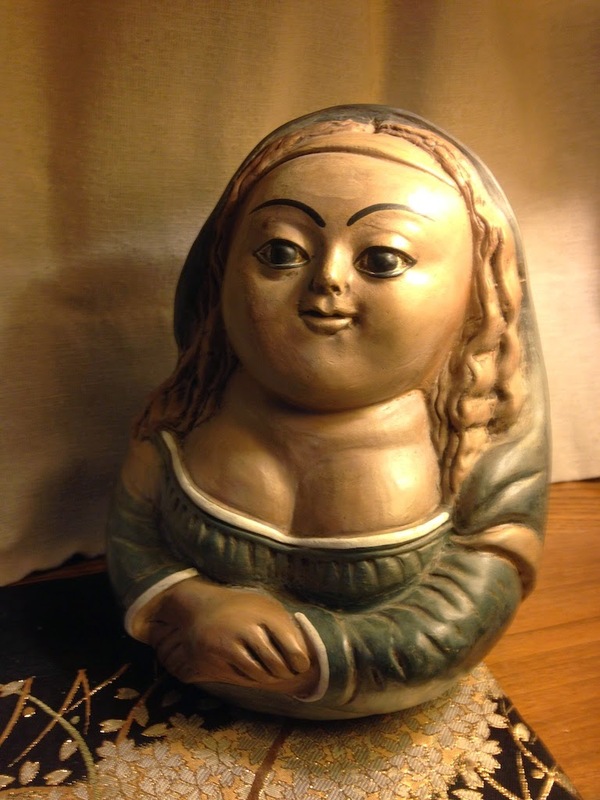 I'm so delighted with my beautiful new Mona Lisa piggybank that I am interrupting my series of pictures from my trip to Holland to include her. 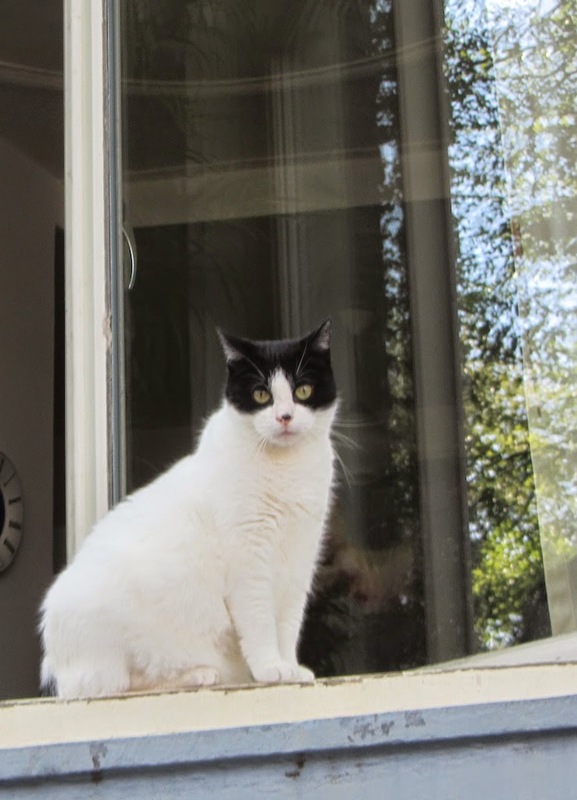 However, I'm now going to continue this post with several photos of cats that I took while walking around the picturesque streets of Amsterdam and other Dutch cities. sitting on the stoops of their houses. 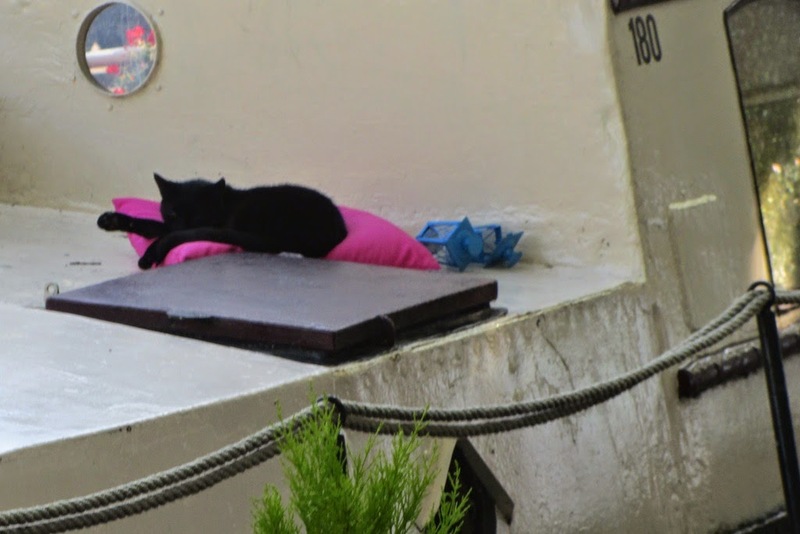 Cat on a canal barge. 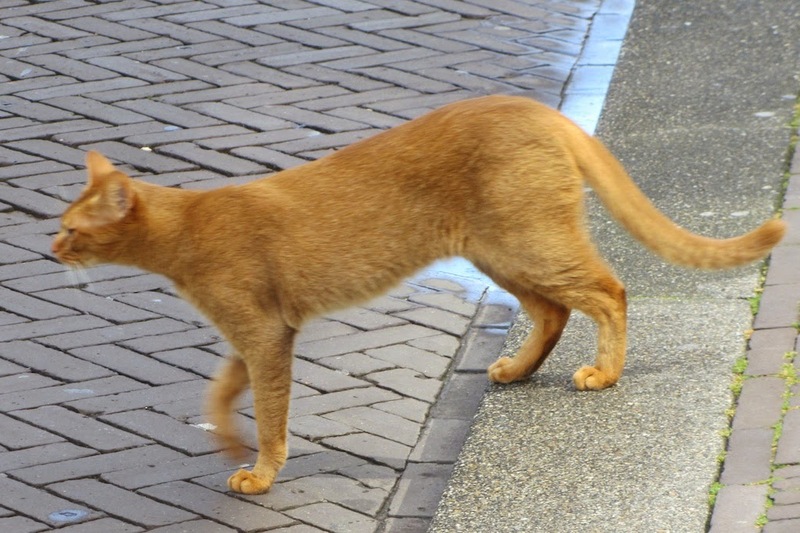 Cat about to cross a street in The Hague. These cats are dedicated to my blogger friend and cat lover, Jeanie of the Marmelade Gypsy. I am finally catching up on visiting people -- I've spent so much time off line that just getting posts up has been a challenge. 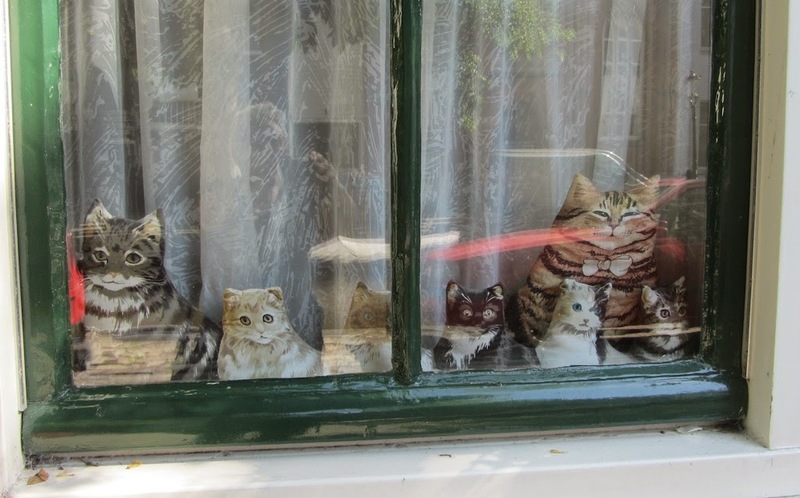 I'm eager to look through ALL your Holland pix but I especially love these, of course. Especially the orange boys, which so remind me of my Gyp. 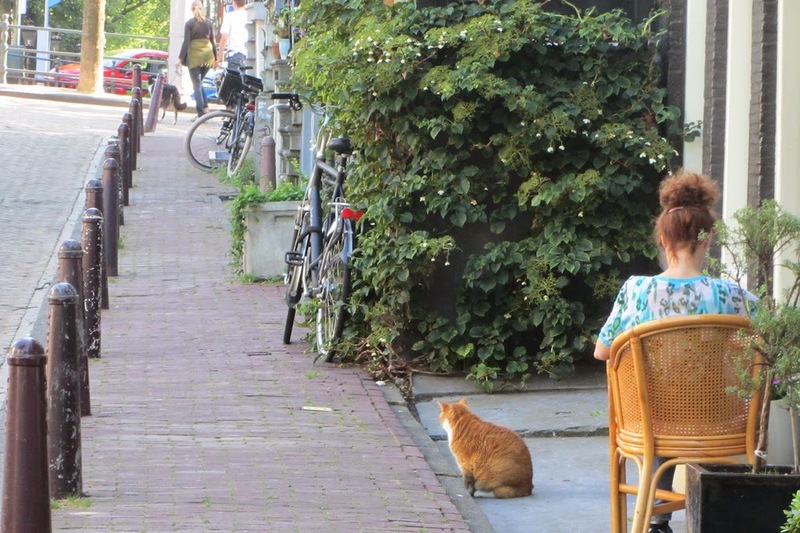 You know, I didn't see cats in Amsterdam -- I'm glad you did! LOVE the Mona Bank! It's so perfect for you! Thanks for the dedication -- more comments to come SOON!